We left Las Vegas this morning for destination–Anaheim. Aaron stopped to make a phone call on the way so I took a moment to take a selfie with a a person mining for gold. 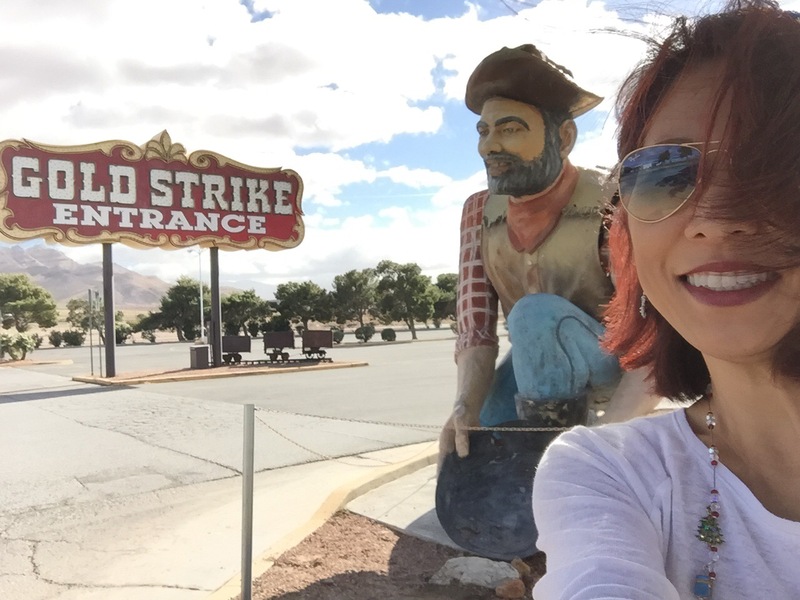 Our next stop was for a quick shopping trip at Primm Outlets. I’m not much of a shopper, so it didn’t take very long. 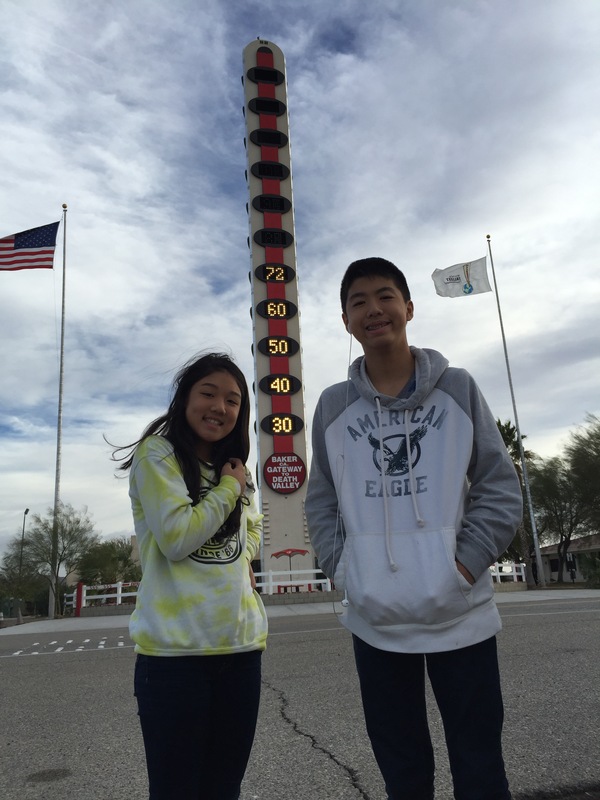 We got back on the I-15 South and drove to the world’s tallest thermometer in Baker, California. I made the kids take a commemorative photo at the site of the thermometer, then filled the gas tank, and headed to Anaheim, California. We reached the Fairfield Inn in Anaheim and checked in to our Toy Story-themed room. After dropping off our bags, we headed out for a Korean BBQ dinner in Garden Grove at Mo Ran Gak Restaurant. We ordered Combo B that included kalbi, brisket, and ribeye and many, many side dishes. 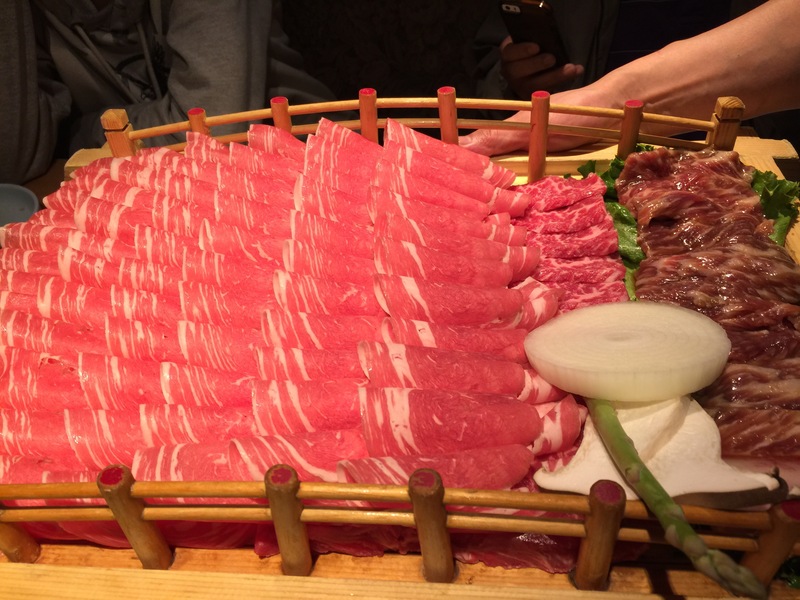 The picture shows our order that has a layer of meat under the top layer. What a great dinner we had! The service was good and the food was even better. We all love Korean food.